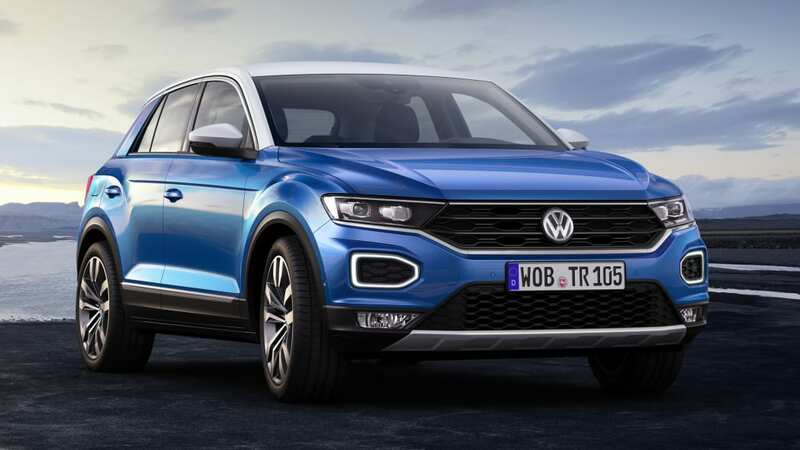 The Atlas and Tiguan aren't the only new Volkswagen crossovers. 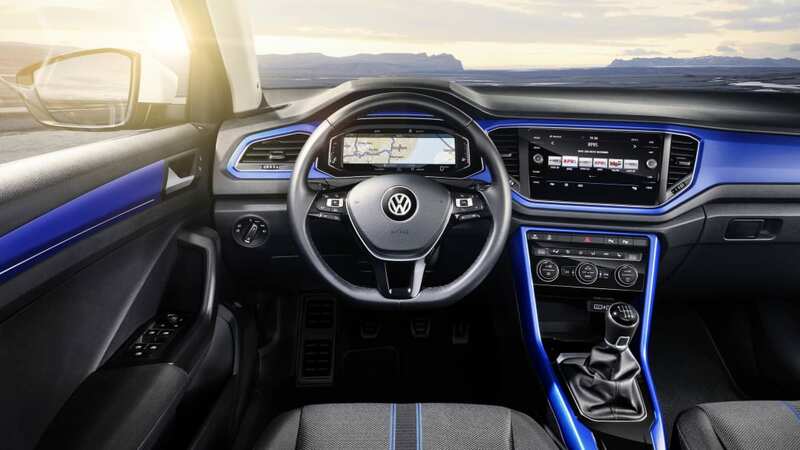 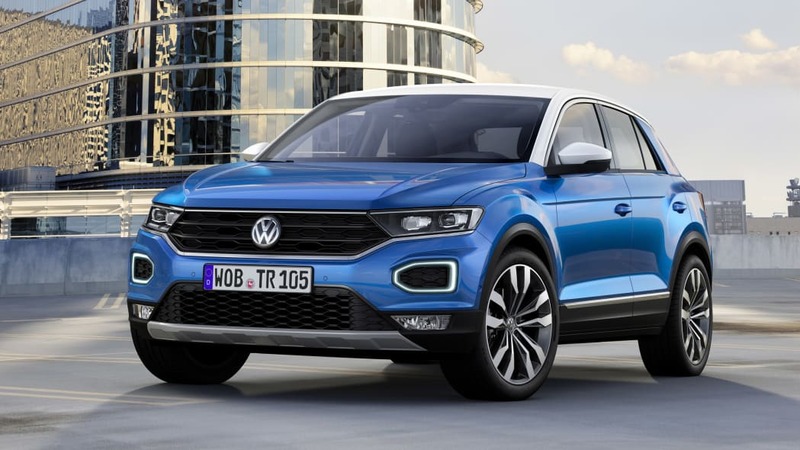 Introduced last summer and on sale now in Europe, the subcompact VW T-Roc features funky, chunky styling (at least as far as VWs are concerned) along with the segment's popular contrasting roof color options. 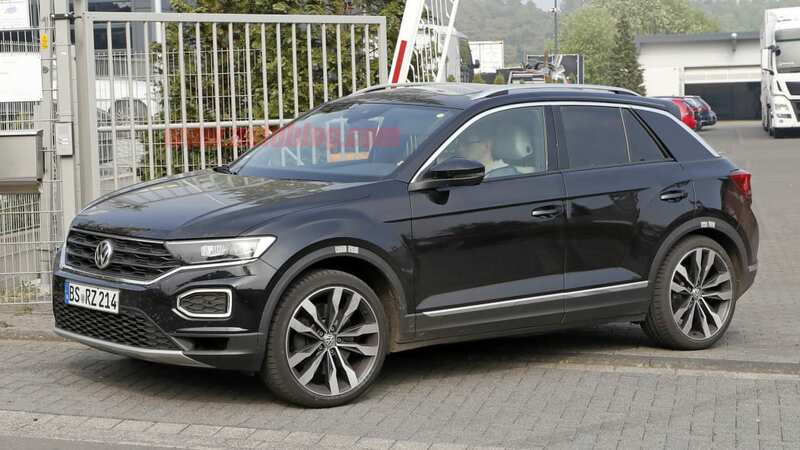 VW has also made it apparent that it plans to expand the line with a convertible, and based on these spy shots, it may add a performance model. 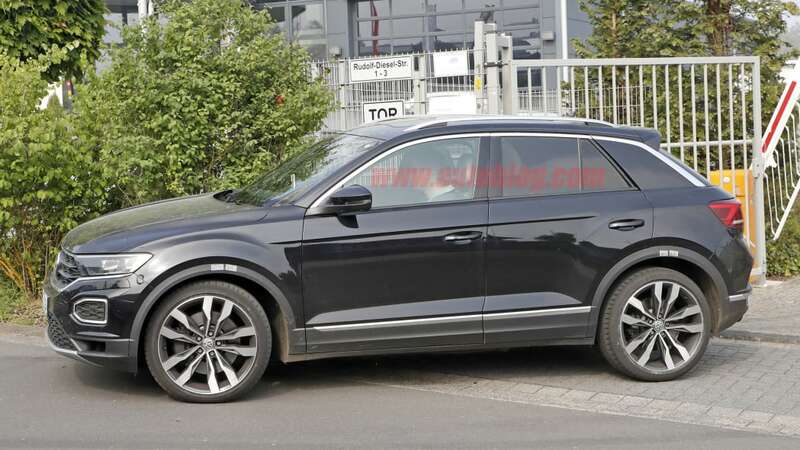 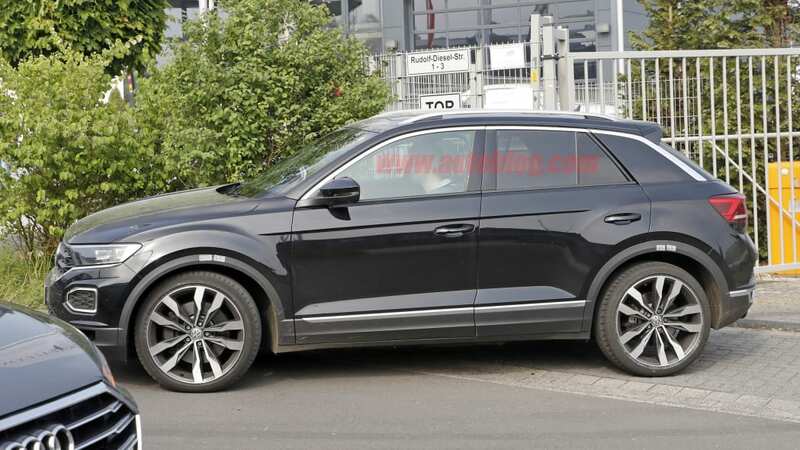 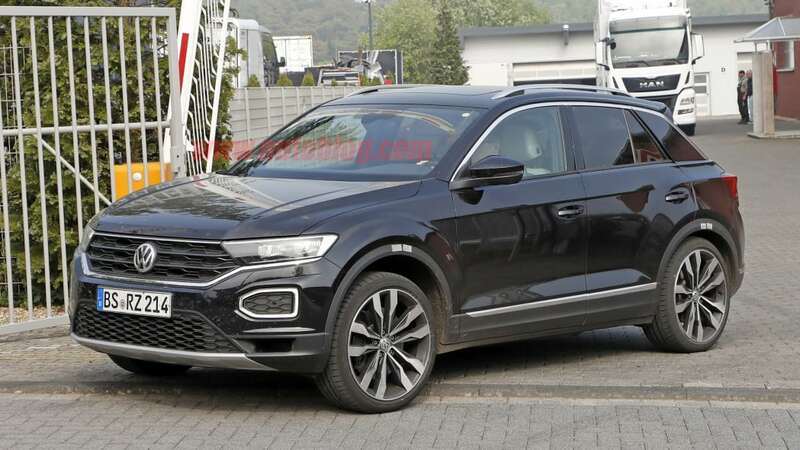 Perhaps a VW T-Roc GTI, or a T-Roc R.
There isn't much on this prototype to give that away, though. 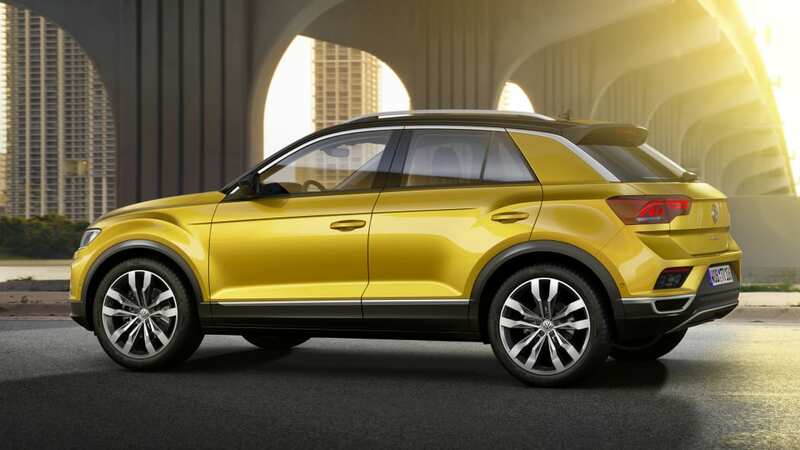 All of the body work is virtually identical to a basic T-Roc. 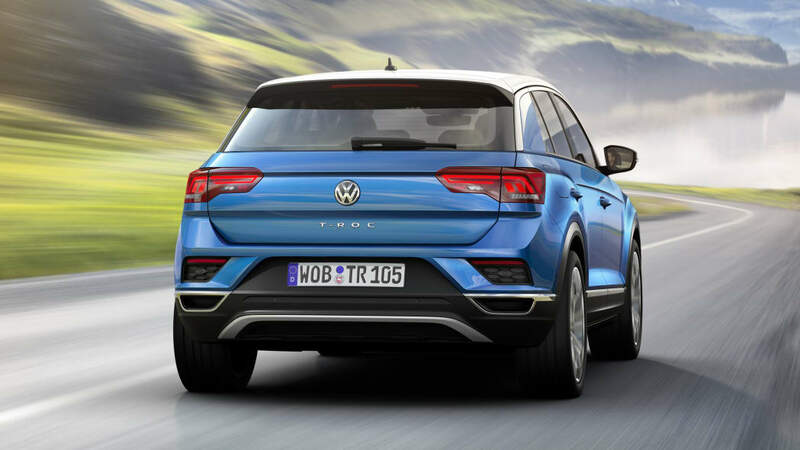 The only obvious difference is a lack of fog lights up front. 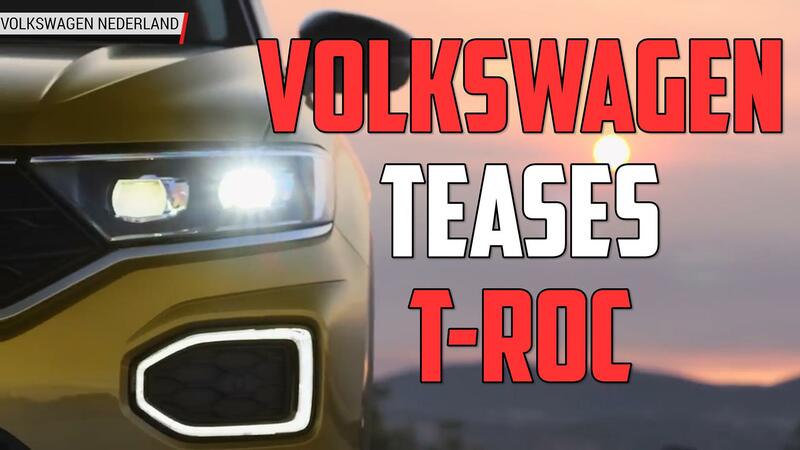 Instead, those fog light spots are just empty grilles. 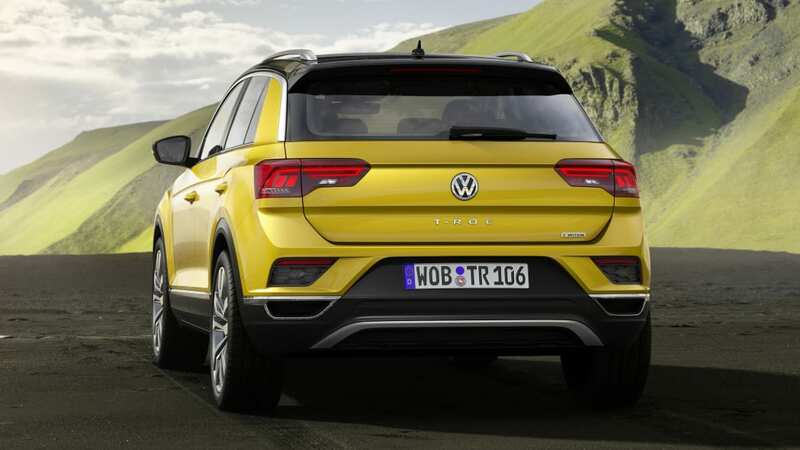 The telltale details are the exhaust tips. 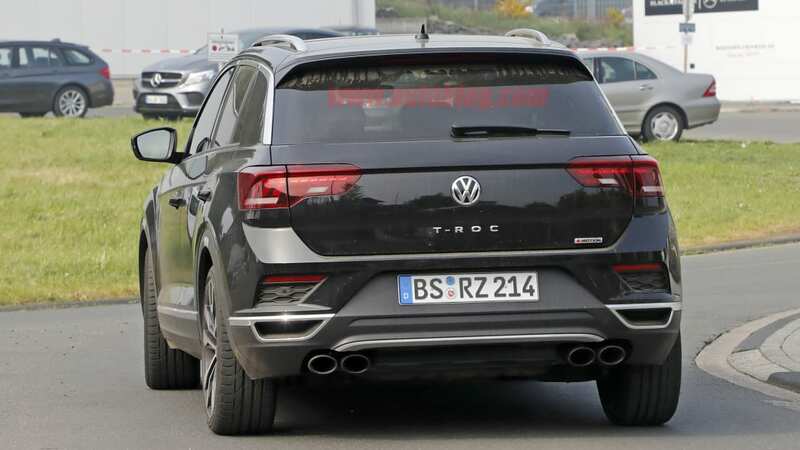 This prototype has dual exhaust outlets with twin tips on each side. 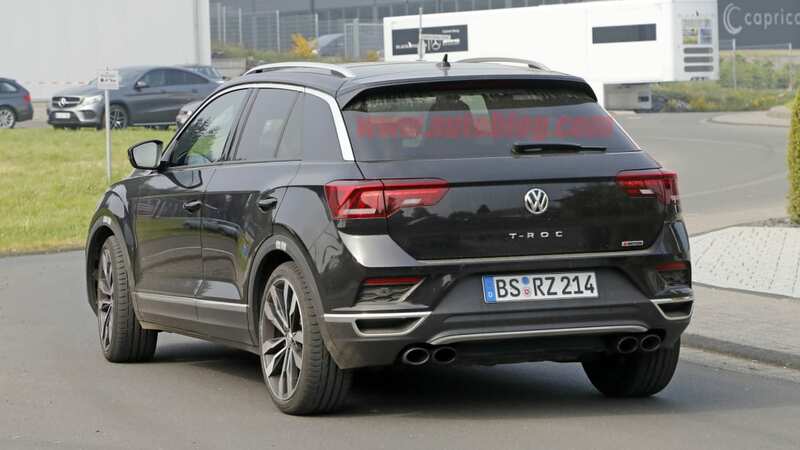 These aren't found on any other T-Roc and hint that this has something more under the hood. 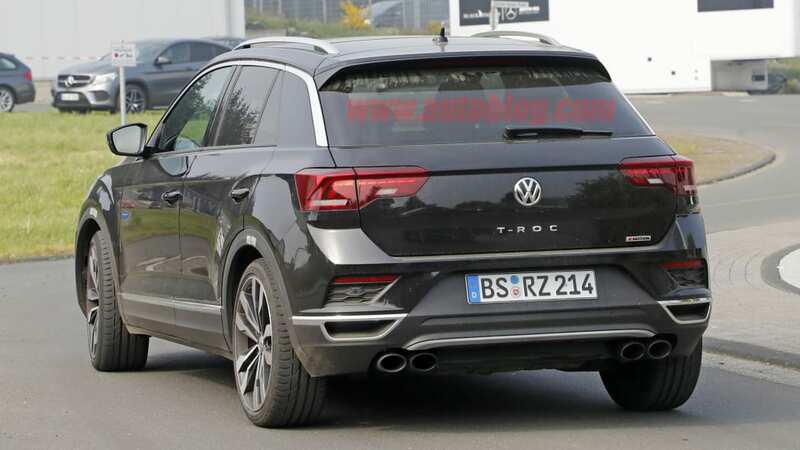 And if the badging on the back is telling the truth, it has all-wheel drive, too. 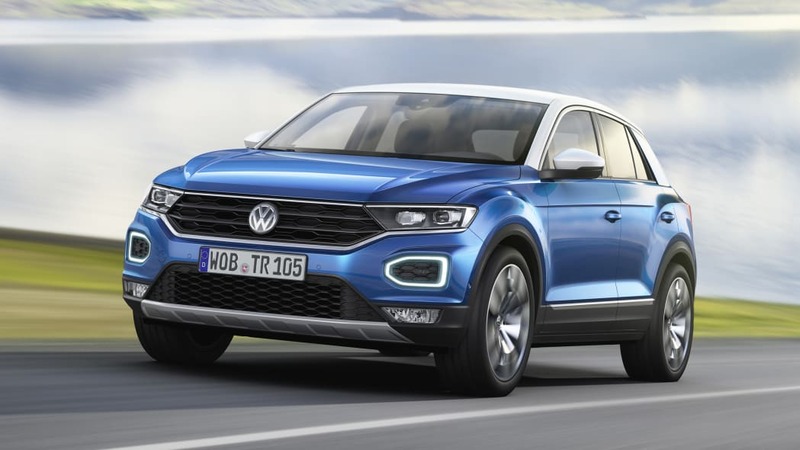 You can see the visual differences with the standard T-Roc, pictured below. 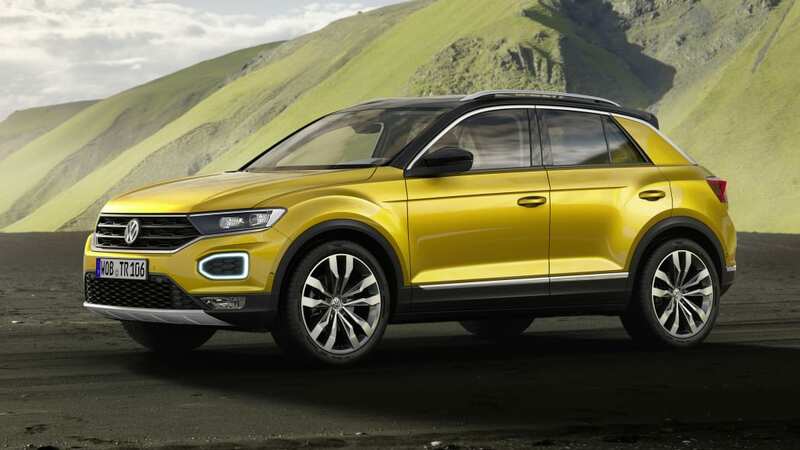 Now the question is, what's powering this T-Roc? 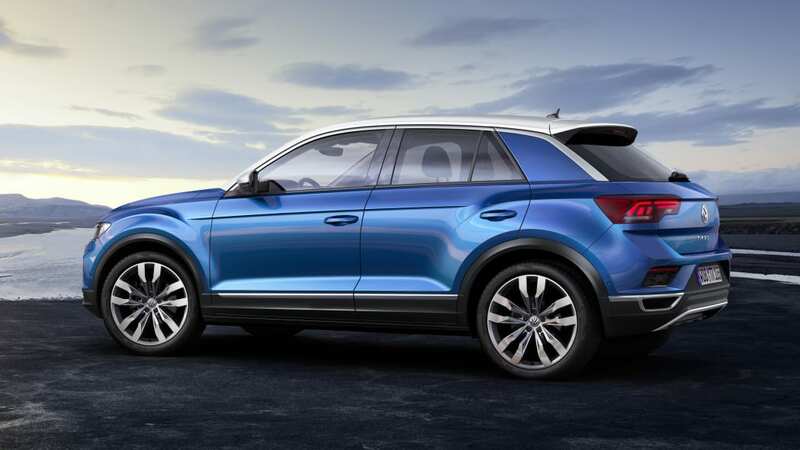 Since the T-Roc is built on the MQB platform, there are many choices. 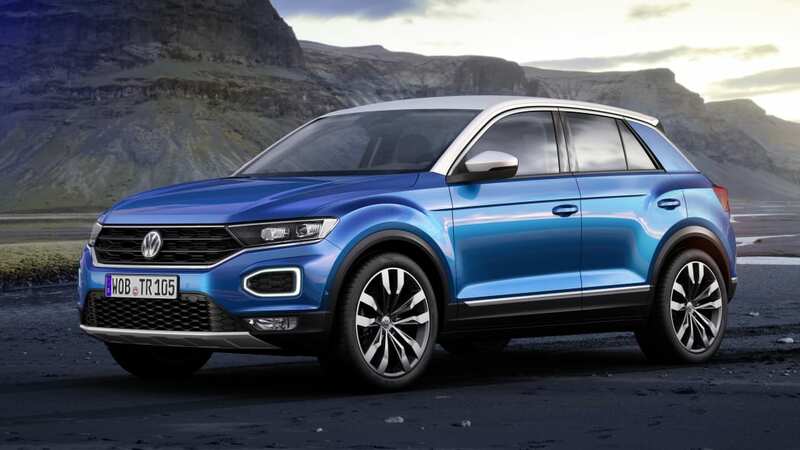 We know that a 2.0-liter four-cylinder will fit in the T-Roc, since the top-spec model gets a 190-horsepower turbo 2.0-liter. 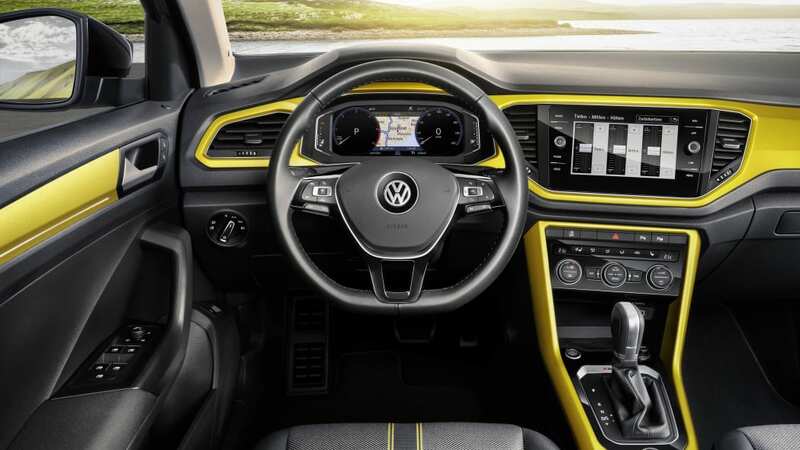 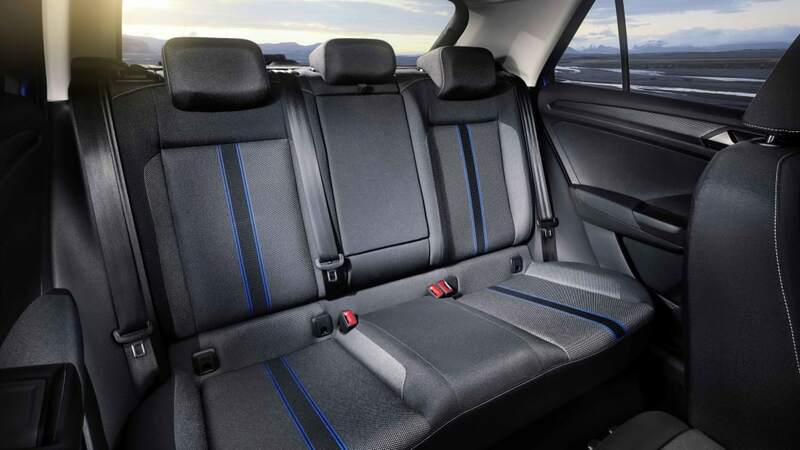 As such, that means that the higher output engines from the Golf GTI and Golf R would hypothetically fit. 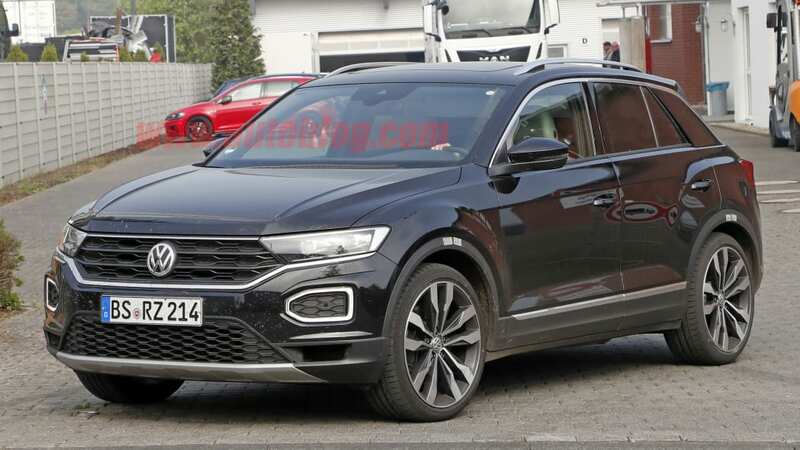 So we could see this having between 220 and 292 horsepower, depending on VW's preference. 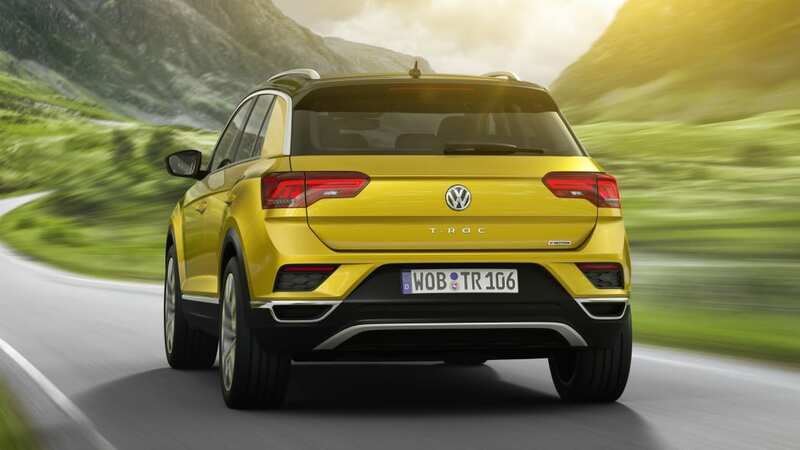 Possibly even 306 horsepower like in the European Golf R. Any number in that range would make for an impressively powerful tiny crossover. 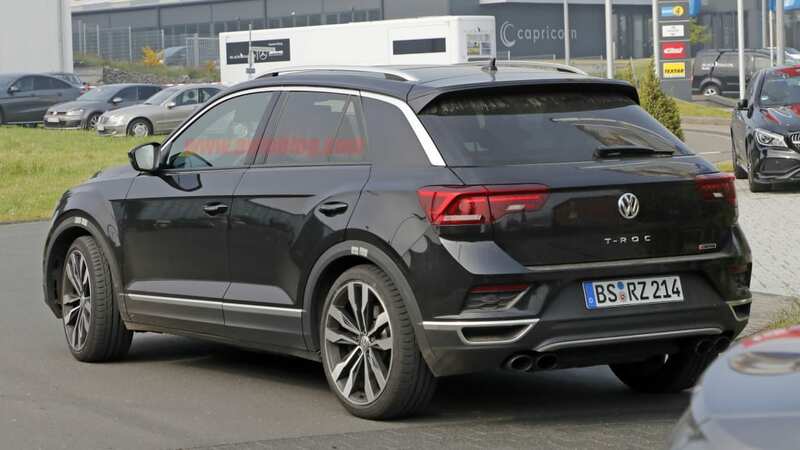 And with the Juke Nismo off the market, it wouldn't really have competition. 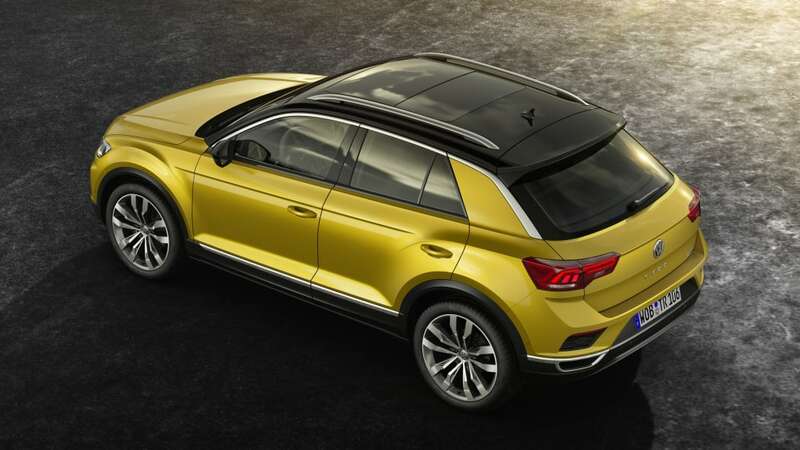 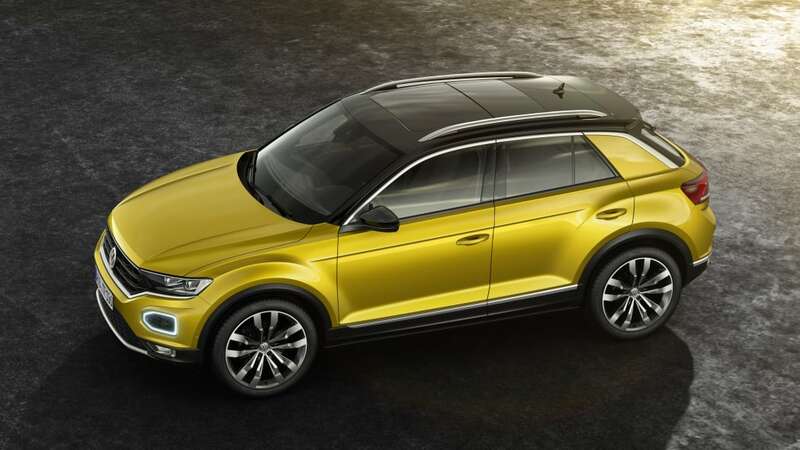 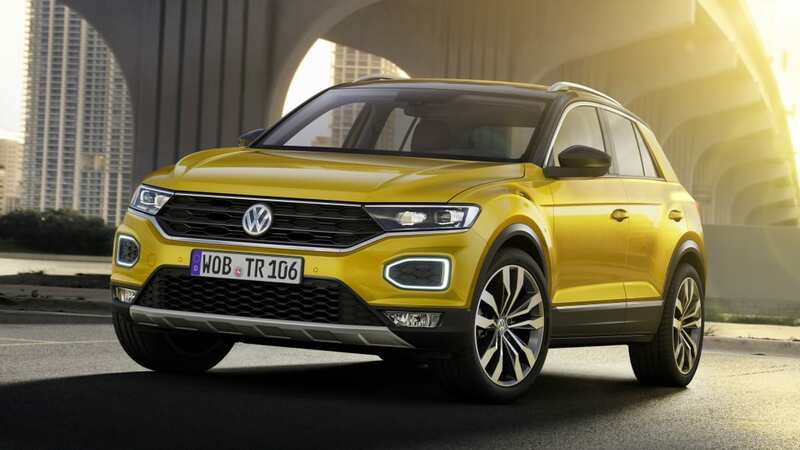 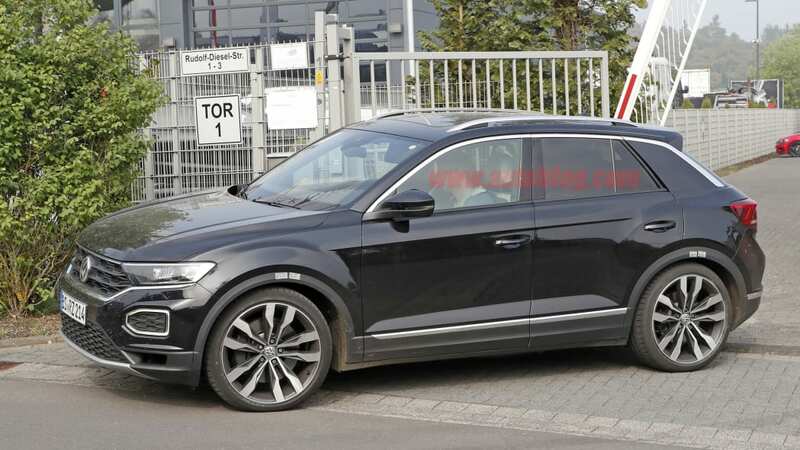 The possibility of more T-Roc variants also revives the continuing mystery as to why VW hasn't brought the tiny crossover to the United States. 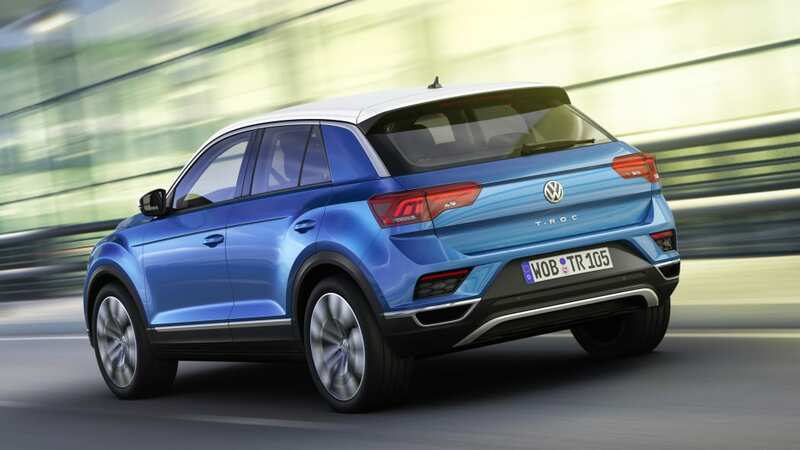 The segment is very popular, and more competitors continue to join the fray. 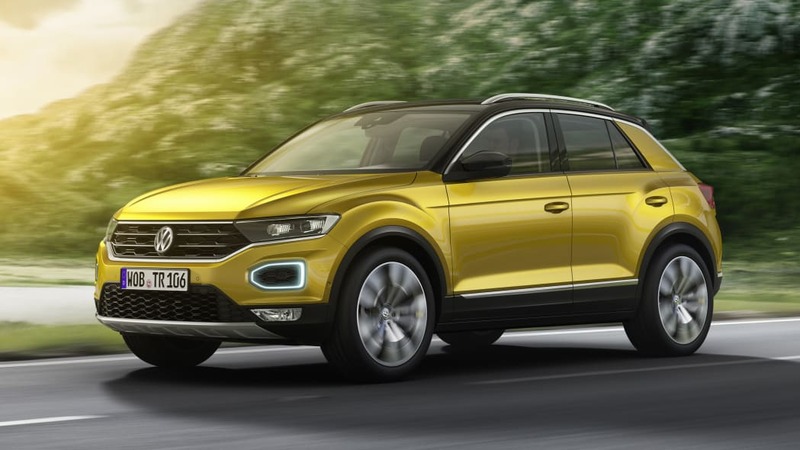 The T-Roc looks perfectly ready for the market here, complete with the aforementioned fun styling, which could certainly cater to those underwhelmed by the conservative Tiguan. 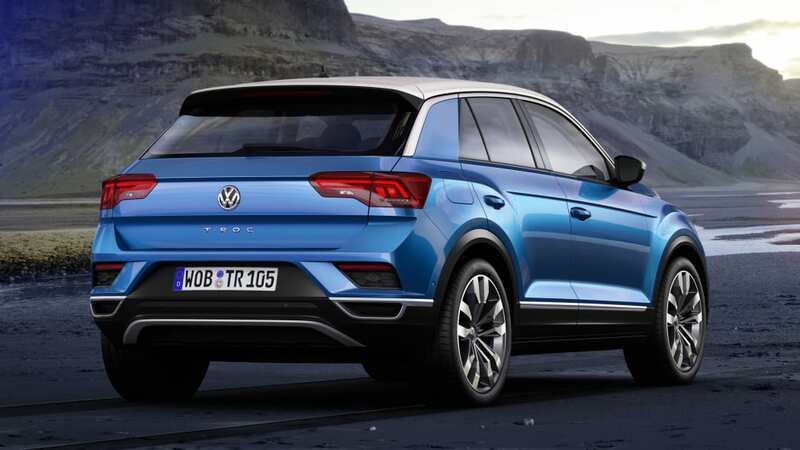 And with a performance model, we enthusiasts would certainly be more accepting of yet another crossover on the market.